Liquid carbon dioxide is a pure, clean solvent that takes many films and oils into solution. Its near-zero viscosity penetrates the smallest crevices bringing cleaning power where it’s needed most. Green Technology : The CO2 cleaning system only uses recycled carbon dioxide gas for the cleaning process, this leaves no residue and no solvents chemicals to clean up or dispose of. It generates no additional C02. We can also offer a CO2 purification system to use standard industrial CO2 which is fed into the purifier where it is cleaned and converted to ultra pure CO2. 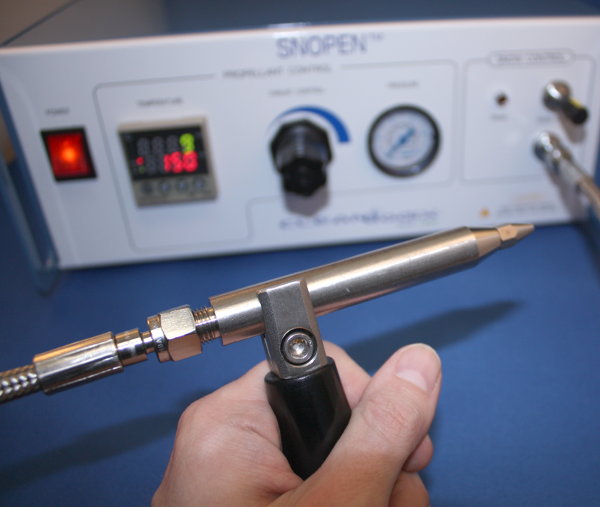 The SnoPen™ is ideal for cleaning small parts or spot cleaning for critical manufacturing and assembly operations. 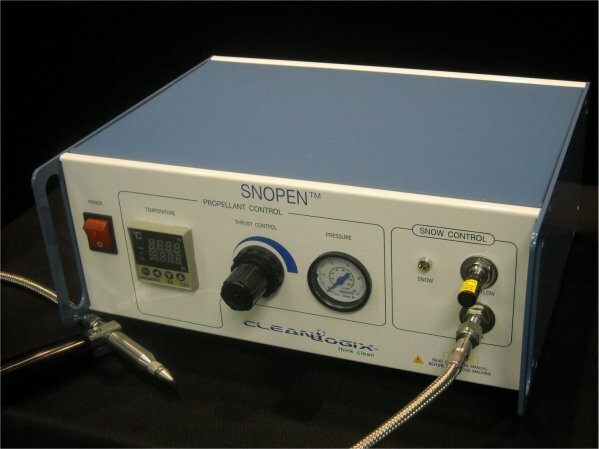 The SnowPen™ generates and propels a stream of C02 snow crystals along with clean dry air and can replace or augment traditional solvent-aided wipers, swabs and spray cleaning techniques which can spread, smear or re-deposit trace residues ad particles over critical surfaces. The MobileClean™ System is a mobile spray cleaning system using the exclusive C02 Processor Units using patented C02 composite spray technology that comprises of clean dry air and low cost recycled C02 gas. Ideal for OEM VAR and Machine-Line builders, the whole unit is portable and flexible. When production support fixtures such as tool blocks are contaminated, parts do not transfer properly. When moulds get dirty, surface finish suffers. With the MobileClean™ you can bring the precision cleaning exactly where it is needed and on the most complex surfaces and hardware. Added benefits include being able to clean parts in-situ resulting in less time re-aligning, recalibrating and less time cleaning. A combines C02 cleaning system and Plasma cleaning in a single system. Perfect for challenging surface preparation requirements, the blown ion C02 plasma treatment assists a C02 composite spray with stubborn contamination removal while increasing surface energy, which enhances surface cleanliness and promotes adhesion of ink, adhesive, metallization, wire bonds and paints. 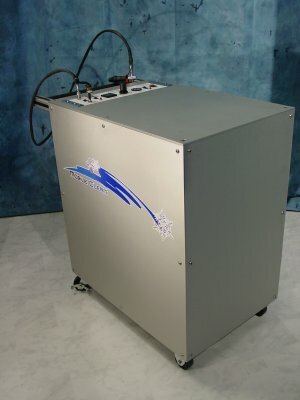 With the BlueFire blown ion plasma module, plasma treatment can be applied without the need for a vacuum chamber. 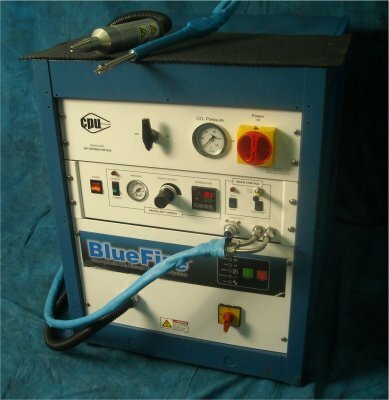 The benefit over common corona discharge treatment is a higher power density and more uniform surface treatment with the BlueFire Plasma. Epak Electronics Ltd are proud to be a OEM partner for Cleanlogix and have been supplying C02 based cleaning systems to the optoelectronics, microelectronics, aviation and semiconductor industries for over 20 years.